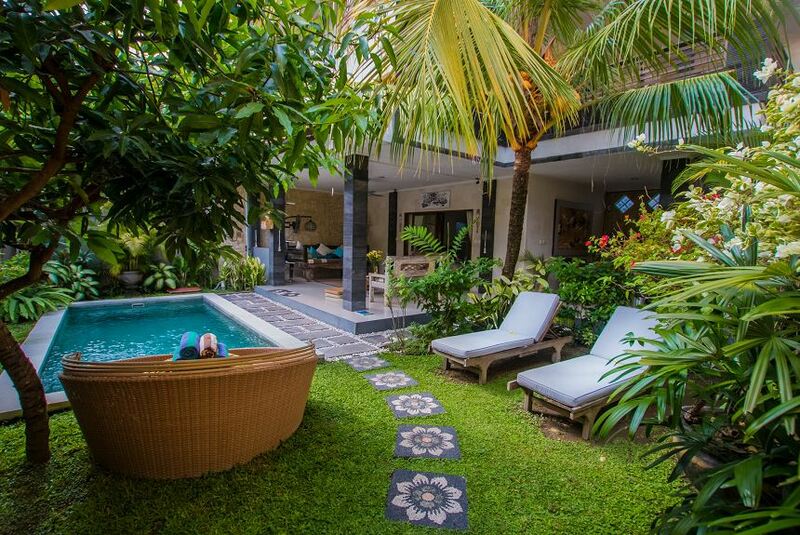 This exquisite newly renovated 3-bedroom two storied villa is in the heart of Seminyak, allowing a stress-free exploration of local cuisine, shops, and beaches. During your stay, you will experience a full-service vacation, including daily cleaning and free transport from the airport. Leaving you more time to relax in the pool or enjoy the city. Our amazing spacious villa is in the perfect location. It is not only within walking distance from Jalan Dhyana Pura (one of the main streets of Seminyak) and the beach, it also is in a quiet neighborhood making it feel like a secluded private retreat. The Villa Exotic is the perfect blend of comfort and luxury, from the spacious air-conditioned bedrooms with en-suite bathrooms to the large living room that opens out to a tropical oasis with private deck and pool.